ALBUQUERQUE, N.M. (ANS-April 24, 2017) — The pilgrimage to Tomé Hill in Tomé, New Mexico is an annual Good Friday tradition, similar to the pilgrimage made in northern New Mexico to the Sanctuario de Chimayo, in Chimayo. That landmark draws thousands to the Catholic shrine. One website reported it is said the Penitentes began the annual tradition to the Tomé hilltop as a way to make penance for their sins. Many area Christians continue the tradition as part of Easter week, making special prayers at the hilltop shrine. Three crosses dot the top of the hill. Tomé Hill lies east of the Rio Grande and six miles south of Los Lunas. On Good Friday, 11 of our Christ in Power life recovery program participants (CIPP) and Joy Junction Chaplain Marcos Atwood went on what Marcos described as a “spiritual walk” to Tomé Hill. They started the two mile trek with prayer and continued it by enjoying each other’s company. Marcos said he was amazed at all the people who were there. Once the Joy Junction contingent reached the top, Marcos said they “gathered together” to give glory to God, and pray for all of our Joy Junction guests. But what did those program participants who accompanied Marcos on the walk think? We asked some of them. Drew said the walk to Tomé Hill was very inspiring, and allowing him to get a brief glimpse of what Jesus went through opened his eyes spiritually and mentally. Sophia said it was very special to share this experience with her husband and new family of friends at Joy Junction. She said that an extra special treat was everyone who went wanted to go, and the next day there was not a single complaint, but rather positive comments from everyone who experienced the event. Bernardo said both he and his wife enjoyed the experience. We were able to share this with others, and it gave us another special place for us all to come together and get the Word of Jesus. We were able to pray for loved ones and friends as well for ourselves. Bernardo said he hopes Joy Junction again participates in the Tomé Hill Walk again for Good Friday 2018. If so, he said, it will be another opportunity for others to share the experience with family and friends. They said they felt the presence of God with them, and when they thought they might not make it, someone came and offered help. Robert also said the walk was great. Angelique has made the trek before, and said that every time she does she feels as if she is being cleansed. Tia said the Tome Hill walk was for her a spiritual experience. Ginger said that to partake in the walk was a reminder of what Yeshua did for her and the world, and further showed her how much He loves us. Stephanie said she was filled with joy and excitement. She said by going to Tomé Hill, she wanted to experience the spiritual peace that she had heard everyone talking about. As Stephanie headed toward Tomé Hill, she said the walk was more strenuous than she had anticipated, but she knew she had to try. For encouragement, Stephanie started speaking God’s Word to her heart – “I can do all things through Christ Who strengthens me.” She kept repeating that every step as she and other of our Joy Junction pilgrims made their way up the hill. She said she stopped half way, as she began to feel more than a little winded from the physical exertion. Stephanie knew she couldn’t go any further. We always try and provide unique spiritual and learning opportunities for our guests at Joy Junction. Your support makes it all possible. Photo captions: 1) Crosses at the top of Tomé Hill. 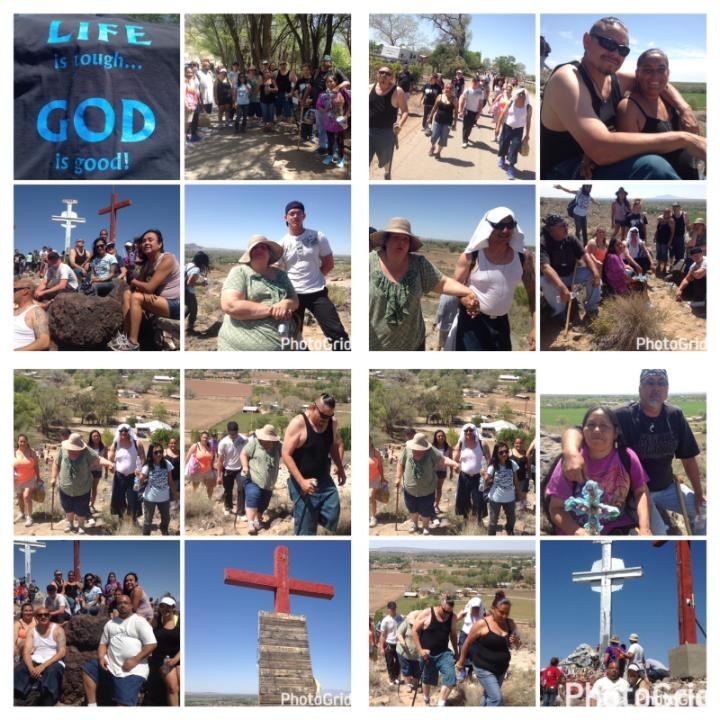 2) Some of the Joy Junction life recovery program participants make their way up Tomé Hill on Good Friday. 3) Finally, at the top of Tomé Hill. 4) Jeremy and Elma Reynalds. About the writer: Jeremy Reynalds, who was born in Bournemouth, UK, is a Senior Correspondent for the ASSIST News Service, a freelance writer and also the founder and CEO of Joy Junction, New Mexico’s largest emergency homeless shelter, www.joyjunction.org. He has a master’s degree in communication from the University of New Mexico, and a Ph.D. in intercultural education from Biola University in Los Angeles. One of his more recent books is “From Destitute to Ph.D.” Additional details on the book are available at www.myhomelessjourney.com. 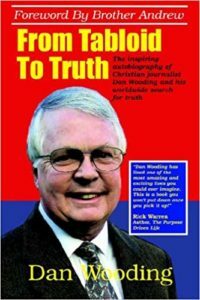 His latest book, “Two Hearts One Vision,” is available at www.twoheartsonevisionthebook.com. Reynalds lives in Albuquerque, New Mexico, with his wife, Elma. For more information, please contact Jeremy Reynalds atjeremyreynalds@gmail.com.